I joined Children Day this year with a big group of active youths from Khon Kaen University and Rajchapat Udonthani and also with “young heart” people from Human Rights and Peace Information Center of Northeast Thailand, Children and Social Development Center and villagers struggling groups against bad development projects like potash mine in Udonthani province and Lam Pa Niang water diversion project in Nongbualampu province. 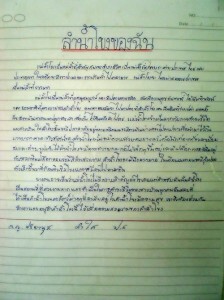 The Children Day was held on January 9, 2010 at Huay Khob-Huay Hiam school, Huay Khob village, Had Kam Pi sub-district, Pak Chom district, Loei province. There were many fun and edutainment activities that children participated such as singing, dancing and arts. 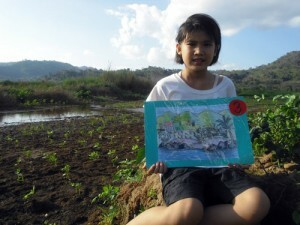 “My Mekong River” was a topic of school essay and drawing contest. The contest activity was a channel for the children to express their feelings, thoughts, and perspectives to outside world about the Mekong River while many communities in Pak Chom district is in Pak Chom dam site that the Thai government proposed in 2005. Having read and seen the students’ essays and drawings brought me a meaningful thoughtful moment. 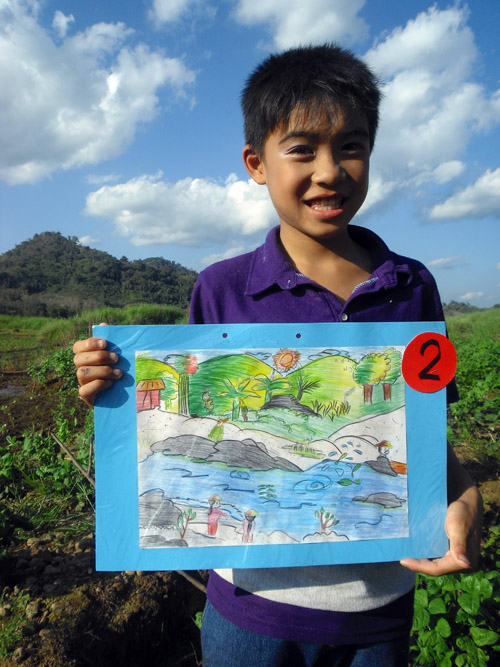 I wish whoever read the kid’s assay and see the kid’s drawings would help encourage them to care the children’s dreams and want to protect the Mekong for all lives. 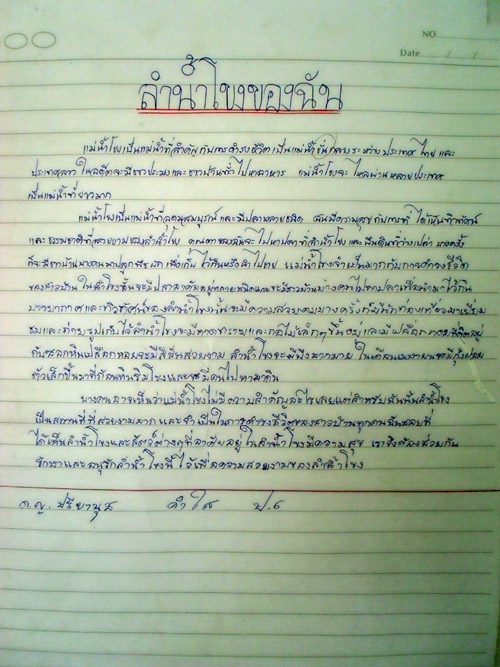 An essay of a primary student who won the first prize. The Mekong River is important for lives. It is the borderline river between Thailand and Lao. In the past, fisherman and villagers in general will find food from the river. The river flows through many countries. It is a very long river. The Mekong River is fertile and there are many kinds of fish. I am happy when I see beautiful scenery and nature of the Mekong. My grandpa goes to fish in the Mekong. Sometime, the villagers plant vegetable on an empty land of the Mekong for eat and sell. The Mekong River is essential for the villagers living. The Mekong River has many kinds of fish and some villagers go to fish for their food. Atmosphere and scenery of the Mekong is beautiful. 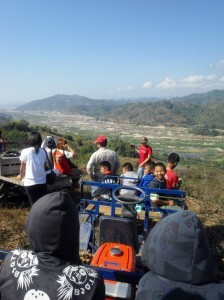 Sometime, tourists come to visit and take pictures of the Mekong. Strand in the Mekong has small bushes and beautiful and colorful shells hide in the rocks. In April, the Mekong has many ponds. There are shrimps rest in the Mekong rocks and people go to get them for food. Some people might think that the Mekong is not important, but for me it is very beautiful place and essential for all villagers living. I like to see the Mekong and riverine animals live happily. So, we must help each other to protect the Mekong River and for its beautiful nature. By Preeyanut Kamsai, Sixth grade student, HuayKhob-Huay Hiam School. I talked to Nareekan Doungnate, a student from Huay Khob-Huay Hiam school who was very active to share her Mekong story. She also won a second prize assay and she showed me with a humble smile. 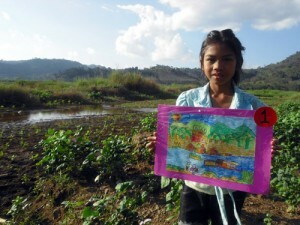 “I’m proud that I was born in the Mekong River community. When I was a kid, my father went to fish for our family. My mother and my grandparents used to pad gold from the Mekong and sold the gold for our family’s income. That was the way they raised me up.” Said Nareekan. She went on talking the ways of many lives have been long depended on the Mekong. “We take a bath from the Mekong water. We eat from the Mekong. 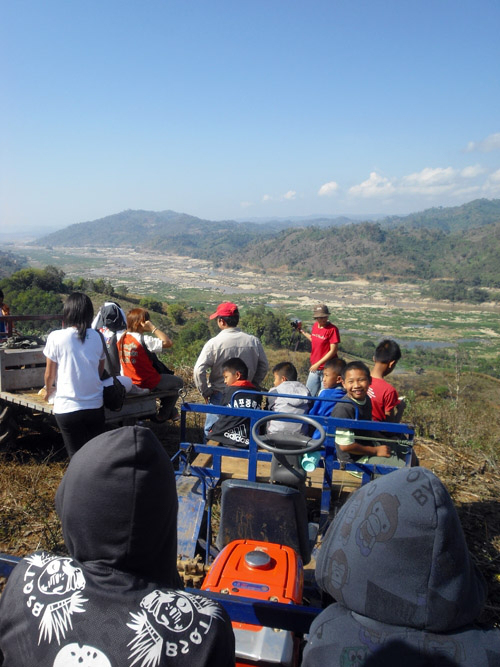 We can take a break to see the beautiful scenery of the Mekong. We have many festivals and tourist attractions related to the Mekong such as Songkran, Buddhist Lent Day and Naga Fire Ball festival. It was 5 p.m. and the Children Day closing ceremony was done. I took this chance to ask the children if they would want to take photo together before the sunshine disappear into the dark of the winter. A big group of the kid raised up their hands with excited feeling to join. I walked with them to the Mekong river bank area which now emerges a large and wide land for river bank cultivation since the seasonal water has decreased. Below are some of the children’s drawings that show a colorful, wealthy and healthy of “My Mekong River” for the people.